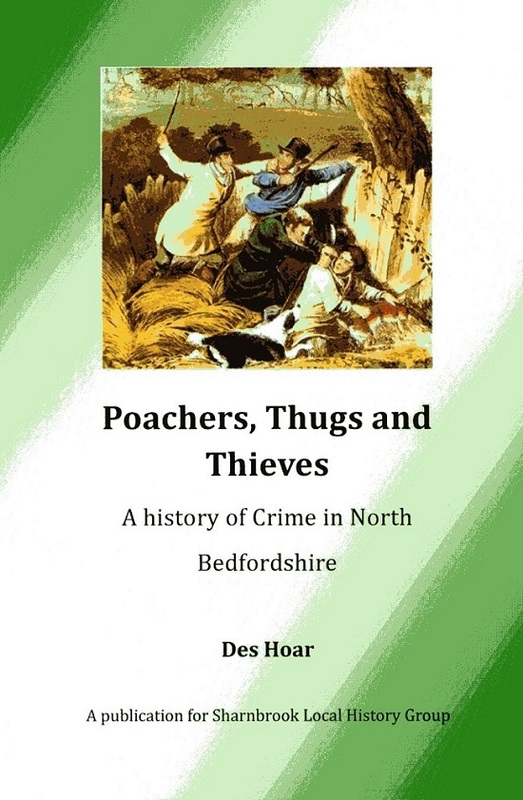 This book is a welcome follow-up to the excellent Beats, Boots and Thieves A history of Policing in North Bedfordshire by Des Hoar and Richard Hanscomb and still available from Des at �. It provides a unique analysis of trends in crimes from 1841 to 1911 dealt with by the Bletsoe Division Petty Sessions, together with a more in-depth investigation of poaching and the theft of boots and shoes, some of the most common crimes during this period. Systematic analyses of the reported crimes are supplemented by fascinating vignettes of the perpetrators, making for interesting reading. Readers may be familiar with the groundbreaking project by Bedfordshire Archives Paths to Crime, conserving and cataloguing the C19th Bedfordshire Quarter Session Records, making them available on line. This project inspired Sharnbrook Local History Group to undertake a similar study of Petty Session cases held at the Bletsoe/Sharnbrook Division court, indexing the records to enable crime levels in North Bedfordshire to be studied. The conclusions of this intensive research are set out in Poachers, Thugs and Thieves. Both Des and the Local History Group are to be congratulated on what they抳e achieved. Chapters one and two introduce the study and summarise the methodology used. Chapters three to ten provide in-depth analyses of offences during 1841, 1851, 1861, 1871, 1881, 1891, 1901 and 1911, together with essential context � changes in legislation, policing methods and sentencing � and insights into noteworthy cases. Chapter eleven discusses trends from 1841 to 1911. Chapters twelve and thirteen deal in more detail with poaching and the theft of boots and shoes. A very useful addition to your bookshelf, particularly if you抮e interested in the police and justice systems, Victorian crime and criminalty and/or if you heard Des speak on this topic at the 2016 Bedfordshire Local History Association Conference.